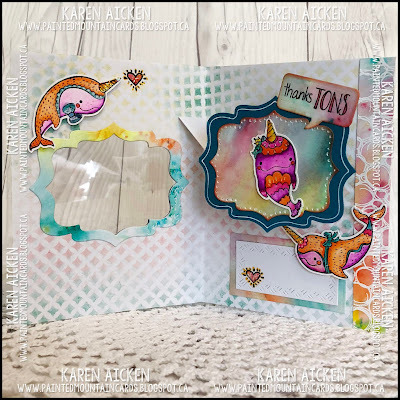 Hello and welcome to our Paper Pro's challenge for July. 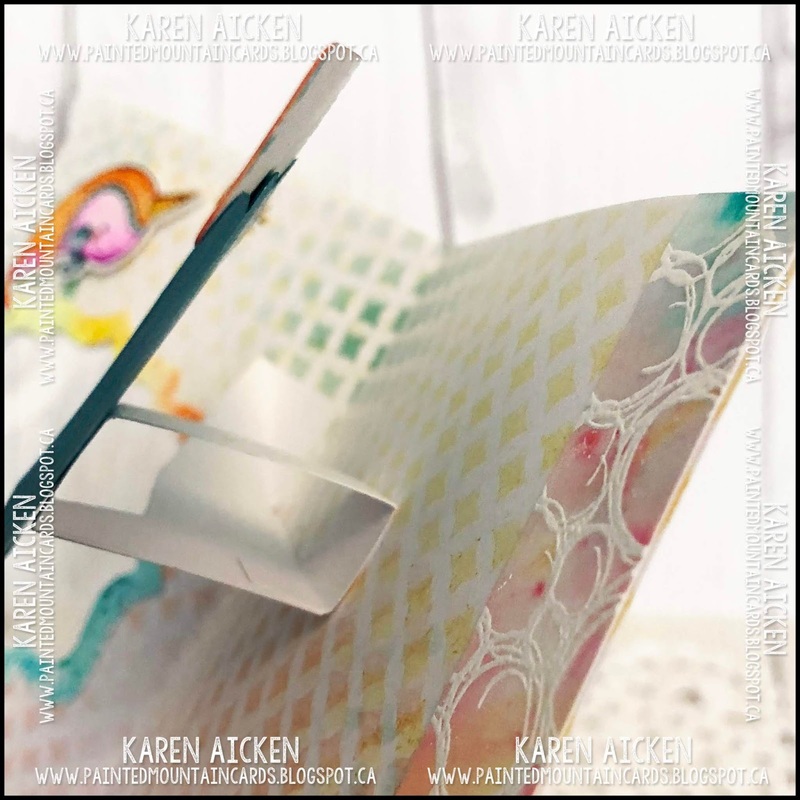 The Paper Pro's are a group of creative friends that used to make up the Designer Challenge Team when Karen Burniston was a licensed designer at ECD. We continue to share and challenge each other and this month Raquel issues the challenge: In A Name - Use a die that has a letter from your name or names. 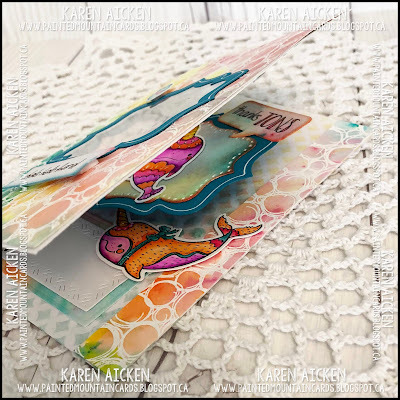 Of course, I used the Katherine Label (K for Karen) for my card! 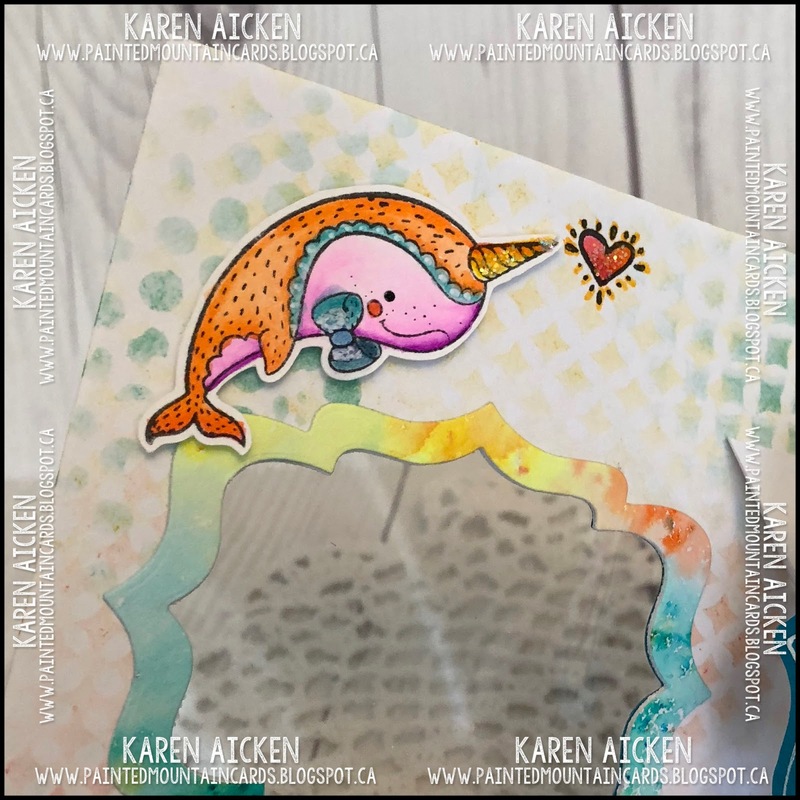 The Narwal stamps were in my recent Pink and Main order so I wanted to use them as well. 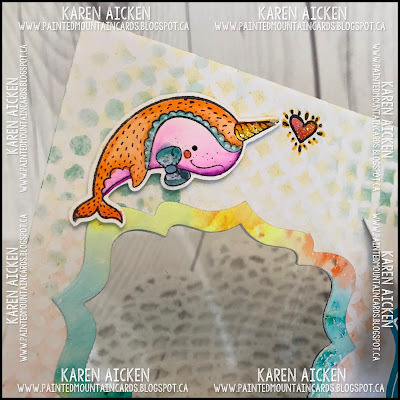 Since Narwals are often called 'The Unicorns of the Sea' I went with a whimsical colour scheme. I'm actually giving you a bit of a sneak peek as well. 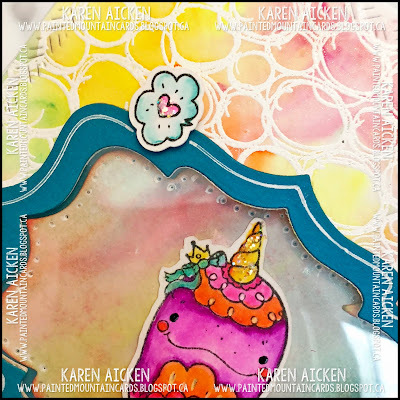 The circle background stamp is by Darkroom Door and I received it for an upcoming blog hop. I'll give the details on how I made the background on the 24th, which is when we are doing the hop. But I had a leftover panel and decided to use it for my card today rather than find something else to use and hang onto this panel until after the blog hop card is posted. The colours worked so well with my fun Narwals! 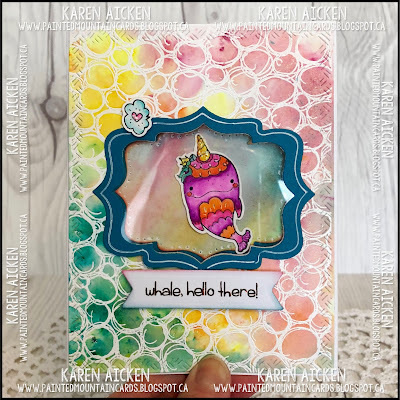 As the card is opened, the Narwal that could be seen through the front window pops up and you also see an additional two Narwals! I used a stencil inside, just random areas, picking it up and moving it around to add colour. Once it was done though I decided I wasn't crazy about the random overlapping. I'll use it 'properly' the next time. 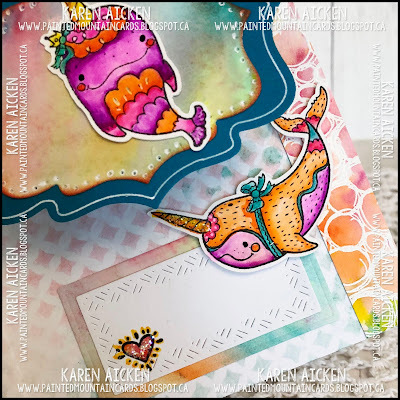 These Narwal stamps are so cute, all decked out in party gear. They were a lot of fun to colour. You get such a lot of dimension with the Katherine Label - it's a fun Pop-Up and one I get a lot of use from. In the photo below you also et a better look at the fun Pink and Main stencil.